Terry is the founder and CEO of ProAct Safety®, an international safety and performance excellence firm. He is known for his dynamic presentations and writing in the fields of behavioral and cultural safety, leadership, and operational performance, and is a regular speaker at ASSE, NSC, and numerous company and industry conferences. He has been a frequent contributor to industry magazines for over 15 years and is the coauthor of STEPS to Safety Culture Excellence (WILEY, 2013). Terry is a veteran of over 1600 safety, culture and performance improvement projects in 39 countries and 21 languages, and has personally assisted organizations such as Georgia-Pacific, Herman Miller, AstraZeneca, Wrigley, ALCOA, Merck, Rockwell Automation, AMCOL International, Ingersoll-Rand and many others to achieve excellence. EHS Today has listed Terry three consecutive times as one of 'The 50 People Who Most Influenced EHS' from 2010 to 2013. SlipNOT's safety blog claims he "sets a new standard for safety success in the corporate world." Attendees at public safety conferences say he is "one of the best presenters in [the] past 3 years" and had "one of the best practical, grounded safety culture presentations. . . ever seen." Terry has presented over 40 webinars and podcasts, co-authored two books, published more than 45 articles, and spoken at hundreds of private and public events. Want Terry to Speak at Your Next Event? Supervisors influence worker behavior perhaps more than any other level in an organization. Yet most supervisors have not received formal training on coaching and effective performance feedback skills. Supervisors are in a unique position to facilitate the creation of a culture that focuses on safety excellence. Discover steps to take supervisors from cops to coaches, identify how to transfer these strategies throughout the workplace; ensuring more effective safety supervision methodologies. Using incident data to improve safety is nothing new. However, when the goal is attained and your accident data starts to lose its statistical significance, what can be done? Near-miss data can help fill in gaps left by dwindling incident rates, and provide clear information with which to focus. But near-miss data is problematic to gather and often misinterpreted. Learn how to avoid common problems and take an important step toward more proactive safety metrics. What gets measured gets managed. This statement is true in safety. The Balanced Scorecard System is a management system that can provide a new approach to measurement of safety program effectiveness. The Balanced Scorecard system provides a clear vision of the status of an operation and translates that vision into actions that facilitate identification of improvement in safety results. Using this system, you will learn to organize benchmarks in four perspective categories, learning and growth, business process, customer and financial. Using these four perspectives, you will learn to establish metrics that can be collected and analyzed on a continual basis to achieve a more meaningful metric for measurement of safety improvements. STEPS is a universal process for identifying, prioritizing, and solving safety problems at the organizational, behavioral, conditional, or cultural levels. Using one process for addressing all safety issues eliminates the need for continuously bringing in new consultants, programs, and approaches that create the "flavor of the month" mentality. ProAct Safety recently compiled data on over 1,100 sites that requested our help in improving safety The commonalities of these sites' issues has led to a new approach to solving safety problems and permanently implementing continuous improvement. The approach includes organizational structure, problem identification, issue prioritization, action plan development, improvement metrics, and a motivational strategy to ensure sustainability. The process is called STEPS (Strategic Targets for Excellent Performance in Safety). When a workplace goes lean, safety should follow. Traditional safety programs and practices are problematic in a lean environment. New ways of thinking about quality and efficiency can quickly make old safety practices obsolete and impractical. Today, Lean is more than a set of tools for efficiency; it is a stark business and economic reality. Organizations that are not lean by choice will become so by necessity. The question is, should safety be put on the back burner till better times? The answer is a definite NO! Safety excellence need not be resource intensive or inefficient. With some innovative thinking and new tools, the quest for safety excellence can be ongoing in even the worst of times. What is the best measure of safety performance? Is it the traditional recordable rate, severity rate, cost of accidents, near-miss numbers, physical audit scores, behavioral observations, percent safe, or perception surveys? The best answer may be "All of the above." 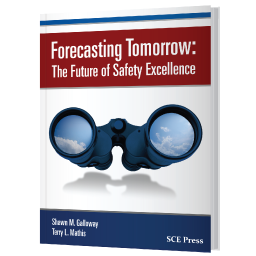 Achieving safety excellence has taught us that most safety executives are not getting the results they want because they are not measuring what they want. Moreover, it is easy to forget that sometimes an imprecise measurement of the right thing is better than a precise measurement of the wrong thing. This enlightening talk explores the misconceptions that currently hinder the best and brightest safety leaders from achieving and sustaining measurable safety excellence. Gain insight into a better-practices approach to safety measurements currently being utilized by many of the best in safety. There are many processes called Behavior-Based Safety, or something similar, and unions oppose most of them. When you examine union resistance to BBS, you find seven common objections. We should recognize that their concerns and complaints are real and valid. Some approaches to BBS have caused problems, and the results have been negative for unions and their members. But the next question should be: Is this problem the result of a flaw in the core philosophy of BBS, or is it the result of poor methodology? The fact that there have been hundreds of successful union-friendly BBS methods at union sites suggests the latter. How did this opposition start, why is it not resolved, and what can you do about it if you want to use BBS at a union site? Explore the history, the seven key issues, and a detailed plan for BBS success that has worked at over 600 union sites. "We have been fortunate to have both Terry and Shawn from ProAct Safety present at our annual Safety & Quality Summit as keynote speakers and also to lead senior leadership workshops. Both times ProAct Safety supported our event, the feedback was extremely positive from all of our participants. Presentations were delivered in a dynamic manner and at a level that led to genuine engagement with the audience. It was clear that the material used and experiences relayed were based on many years of practical/real-world experience as opposed to academic theory — as a result, there was a very high level of credibility. Having been involved in a broad range of industries, both Terry and Shawn were also able to share different ideas and provoke thoughts and discussion on best practice across the safety spectrum." "The conference went really well and Terry, as expected, was a superstar! I heard so much great feedback about his keynote and not only that, many speakers throughout the conference referenced what he said in their own presentations, which tells me that he captured their attention and engaged them." "'Terry Mathis is a bastion of information and wisdom for safety professionals.' 'This was the most useful and practical class that I've attended in at least 10 years. I took so many notes I used up my pen. I can't say enough good stuff. Excellent in every way.'" "'Best presenter I've had.' 'Excellent seminar. Time well spent.' 'Excellent session. This seminar advanced my knowledge by a factor of at least 10.' 'Mr. Mathis was a great speaker, and took the temperature of the room very well. He was sensitive to the group, and gave great pointers for improving not only BBS, but also communication in general.' 'Lots of good ideas for new or old behavior based programs. I like it because it covered all behavior based programs. Really worthwhile.'" "Dear Terry: On behalf of the Pipe Line Contractors Association, our Board of Directors and our Safety Committee, I would like to thank you for your presentation on December 4, 2013. Your presentation was full of very valuable information on safety culture and was extremely well-received by our members. I believe some attendees will be contacting you to speak before their companies. Again, thank you for your presentation and we hope you have a very successful and safe 2014." "Terry is an outstanding instructor. I thoroughly enjoyed his class and plan to put principles learned into practice immediately." "Outstanding instructor who utilized real world data and examples." "One of the best speakers I've ever heard. Great job!" "Excellent speaker, well organized presentation. Powerful, useful and right on target with approach. Useful references to books, online materials, podcasts, etc. Great energy! Thank you!!" "Terry Mathis excels when it comes to teaching a practical, commonsense approach to Behavior-Based Safety. He relates well to everyone, from people on the floor to those in the highest levels of the company. His extensive experience "in the trenches" means you get level-headed, hard-hitting advice on everything from calculating the true costs of Behavior-Based Safety to handling various implementation and improvement challenges. If you're thinking about attending this seminar, I have two words for you: Do it." Gene Burrows, Corporate Director of Safety, TAMKO Roofing, Inc.
"With Terry Mathis's approach to Behavior-Based Safety, the employees develop the process for their facility. Because of this, there is a great sense of ownership that drives the employees to make the process successful. I especially like how we've been able to customize the process to meet the needs and preferences of each of our plants - it's much easier than changing the way you work to accommodate a 'one-size-fits-all' approach." "If you want to be proactive, not reactive, about safety, you need Behavior-Based Safety. It's as important to proactive safety as Six Sigma, Deming and other initiatives are to proactive quality. I'm sold on the process because it works. We've gone over six years without a lost-time accident - we're really preventing employees from getting hurt. For a 'street smart,' hard-hitting look at what Behavior-Based Safety really involves and how to make your process a success, you need Terry Mathis and [ProAct Safety]. You'll get practical explanations and real-life examples from someone who has walked in your shoes, not theory and book-smart advice from someone living in an ivory tower. If you're going to implement Behavior-Based Safety on your own or are considering the possibility, I've found no one better than [ProAct Safety] to teach you what to do. They give you everything you need to be successful."